The packaging prize goes to ..... Penhaligons! Earlier this year I received the most divine birthday present from my lovely friend Fran - Penhaligons solid fragrance 'Artemisia' and the matching hand & body cream. My birthday fell just before we moved house so I safely packed it away ... only to forget about it and I rediscovered it the other day. 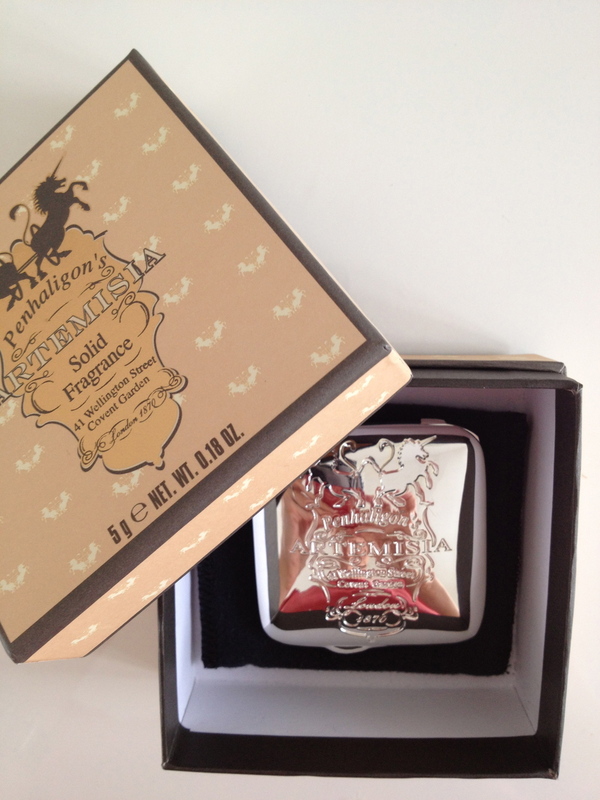 I think Penhaligons has to win the packaging prize for this one. The solid fragrance comes in the most beautiful silver compact ever - ideal for travelling or keeping in your handbag. The fragrance is both fruity and floral and is described as 'a tumble of green apples and nectarines washed with jasmine tea and sprinkled with a luxurious medley of voilet, cyclamen and lily petals'. It is heaven. The Penhaligons brand was founded in 1870! And the original store at 41 Wellington Street, Covent Garden is still standing today in all its old world glory. If you are coming to London, you will no doubt go to Covent Garden so keep your eyes out for it. It is well worth the look. You can buy the Artemisia range from the Penhaligons online store here however at this stage they only ship within Europe.